Enjoy the musical roots of American folk music and culture at Explore Music! Traditional American on Saturday, Oct. 10, at the Community Music School (CMS). Kic koff the afternoon with stories by storyteller Marcia Ollinger and children's quilting and weaving projects from 12:30-2 p.m. The Southerner and Pie Oh My food trucks will be selling food on campus in parking lot K beginning at 12:30 p.m. The Southerner food truck specializes in BBQ and comfort soul food. Pie Oh My offers delicious sweet and savory pies. For more information, visit the Pie Oh My site or The Southerner on Facebook. Experience traditional American folk music featuring Ozark Mountain music with musicians Cathy Barton, Dave Para and Mike Fraser at 2 p.m. This engaging music workshop introduces audience members to the tradition of hand-me-down music of the Ozark Mountains. Folk and traditional found instruments will be demonstrated. Participants can sing along and try instruments such as the spoons, bones, jawbone and drums. Continue the journey to days gone by with a toy making activity. All ages are introduced to traditional old time folk toys and make their own toy at 3 p.m. The final and most compelling music session of the day explores the music of the Lewis and Clark Expedition demonstrating how music played a significant role in the journey. 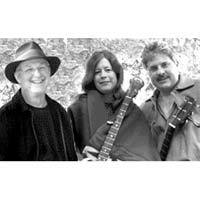 Cathy Barton, Dave Para and Mike Fraser guide you on the expedition; join the music and fun at 4 p.m. Participants can attend multiple workshops or just a single activity. For more info visit www.webster.edu/cms or call (314) 968-5939. Cathy Barton and Dave Para have created dynamic performances acclaimed for their variety and expertise in vocal and instrumental music for 38 years. They have celebrated the musical traditions and folklife of Missouri and the Ozarks with audiences are as diverse as their repertoire. A versatile duo, they play several stringed instruments including hammered and fretted dulcimers, banjo, guitar and autoharp as well as "found" instruments like bones, spoons, mouthbow and leaf. Their concerts present a range of music from the lively dance tunes they have collected in their home region to old ballads to new songs. Cathy and Dave are joined by fiddler, Mike Fraser, who apprenticed under the master fiddler, Bob Holt. Mike's avocation since 1986, has been performing with various musicians and a band he formed (Shortleaf Band) consisting of old time, bluegrass, Celtic and original music.